Our cosy cottage is comfortable, clean, and fully equipped. 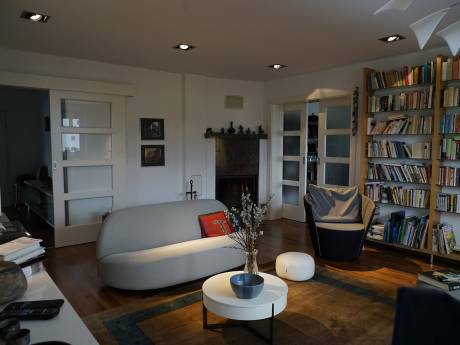 It has an open kitchen, dining area and living room with a tiled stove in one room. It is furnished with built in wooden benches, chairs and sideboards in the traditional way and we added a comfortable new sofa. We have two bedrooms, one bigger room with double bed and bunk bed and one room with a queensize bed and a bunk bed for little children. We have a bathroom with a washing mashine and a separate WC. There is space for 4 - 6 people (possibly space for 4 small kids and 4 adults). 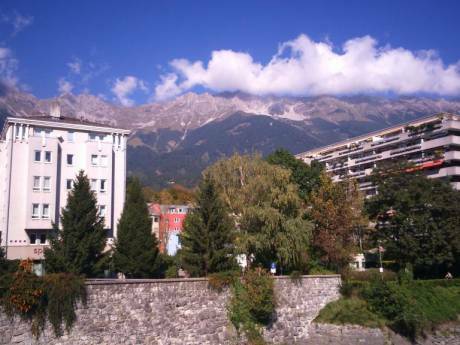 The terrace in the south is roofed and with a view to the mountains of "Wilder Kaiser". The fully wooden cottage was built in 1984 by Sabine's aunt and is recreation space for us, friends and family at the weekend. In the winter it is heated with wood the central tiled stove and there are small electric ovens in each room. There is a garage, which is really helpful during the snowy days. We build a nice treehouse in the garden for the kids last year, where they love to stay all day long and there is enough space in the garden to play a little soccer while the others sitting in the sun. There is no WiFi in the house, as we do use our mobile phones to access to the internet. But the mobile network works well in this area and you can easy purchase a local sim card for a reasonable price in the very helpful post office in Kössen. 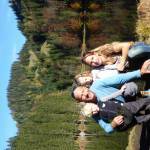 We are Sabine and Robert, a married couple with two small kids: Luisa and Benedikt. Sabine is working as an architect and Robert is pensioner, sportsman and takes care of the kids. We love sports and enjoy travelling when able to get away. We took us three month off in spring 2017 to explore other parts of the world with our kids and had our first Homeexchange. We consider the exchange of homes as a great way to see other countries with our kids - and allow someone to see ours. We so Prüfer non simultaneous stays. If you want, we can recommend you the best places to go in the surrounding, as well as in the area around Munich, where we live. 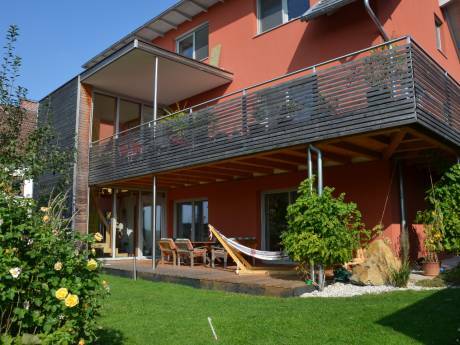 Our house is located in Kössen in Tirol in the middle of stunning mountain scenery of "Kaiserwinkl" with plenty of place worth to see and a lot of leisure activities. It is easy to reach by car within one hour drive from Munich and relatively close to the German border. The cottage is situated in an quiet and nice surrounding in an living area close to the river and within walking distance to the centre of Kössen with all shops for daily needs. There are good local food stores and very nice restaurants in the centre, which is about 15 minutes walking distance. In Summer you can reach the Golf course within walking distance from the cottage, you can hike or bike to any of the surrounding mountains of Tirol or Bavaria. Furthermore the close Unterberg is one of the best paragliding spots in Tirol. The beautiful little lake Walchsee is to reach within 15Minutes by car or by bike. In Winter there is a huge area of free cross-country trails (summing up to over 250km) to reach within 5 minutes walk, family friendly ski resorts within 10 minutes drive and several other winter sport opportunities. The famous Kitzbühel and several other skiing slopes can be reached within approximately 30 minutes drive. You can reach the following sights within half an hour drive: Castle of King Ludwig II: Herrenchiemsee, Fort of Kufstein, the Haflinger foal farm Ebbs and within one hour drive: Salzburg, Innsbruck and Munich. Schmugglerweg zum Kolbenstein: https://www.kaiserwinkl.com/de/wandern-tirol/schmugglerweg.html; Hike to beautifull Taubensee: https://www.tirol.at/reisefuehrer/sport/wandern/wandertouren/a-wanderung-zum-taubensee; Walks around Walchsee lake or on one of the beautifull close mountains around (Rudersburg, Wetterfahne, Unterberg, Breitenstein etc.). Hikes in the close Kaisergebirge starting from Kaiserbachtal. Walchsee and the close surrounding mountains.